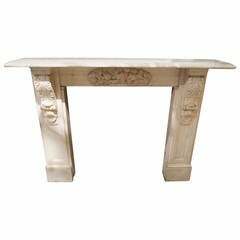 Antique Victorian Statuary white marble surround with panelled legs, carved corbels and a centre plaque with fruit and flowers. 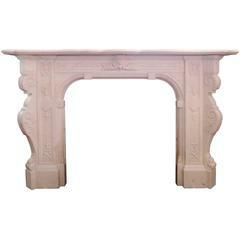 A Georgian style aged statuary white marble fireplace with beautifully carved corner blocks. Measures: Opening 40 x 40. 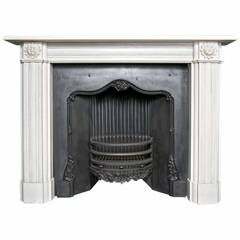 Antique fantastic Victorian Statuary white heavily carved marble Fireplace. Brunswick Gardens/Kensington. Measure: Opening 39.25" W x 39" H.